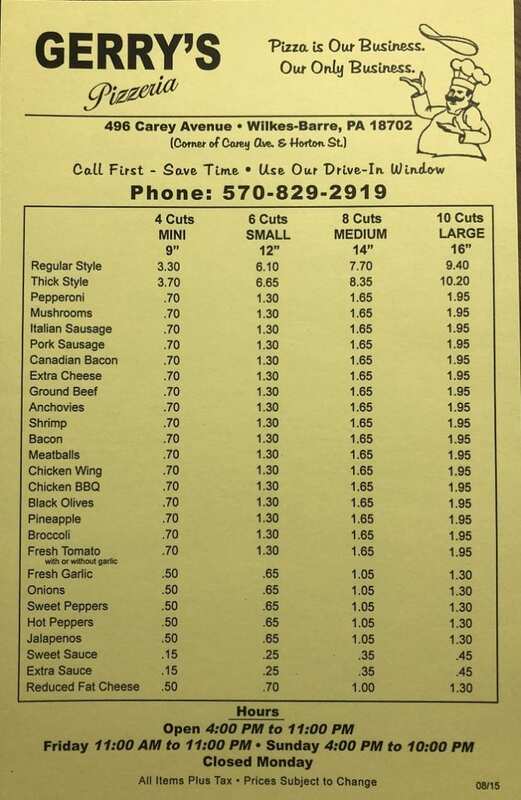 Gerry’s Pizza is a great pizza spot located in Wilkes-Barre, Pennsylvania. Gerry’s is known for using fresh ingredients, with sweeter sauce than the other pizza spots in town. A great part about Gerry’s Pizza is their drive thru window which is really convenient for pickup. Another great thing about Gerry’s Pizza is they offer vegan cheese. And because they strictly concentrate on pizza, they do it right. Definitely visit this great pizza place.